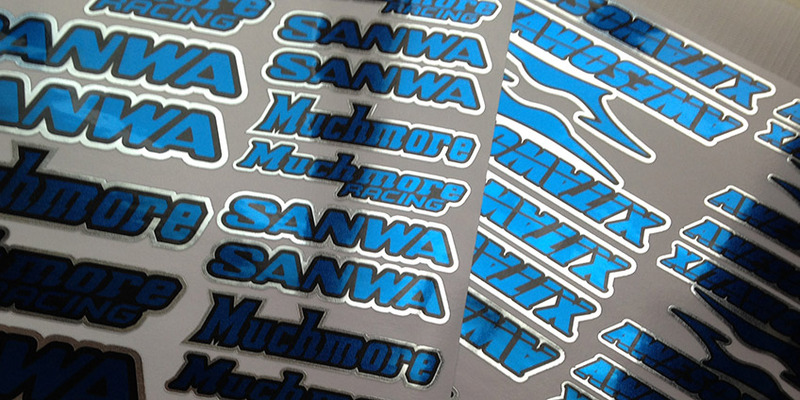 Custom printed stickers / decals, custom printed clothing, banners and more. Be sure to keep an eye on it and we welcome and encourage your input, comments and social media shares, likes and interest as this helps us improve and be more relative to your requirements and interests. Have any comments or suggestions / ideas then we would love to hear from you. 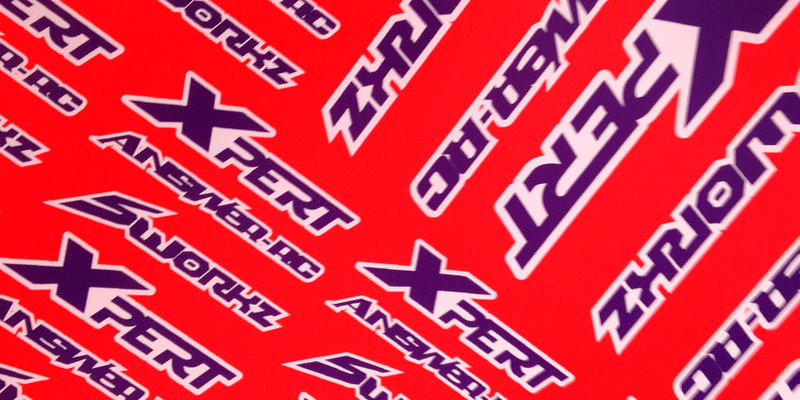 Custom printed sticker done using eye catching metallic vinyl for some serious bling..
custom printed rc stickers for use on your radio controlled cars, buggies and more.